Bananas (Musa spp.) are a staple food in the Amazon, and an important export crop. 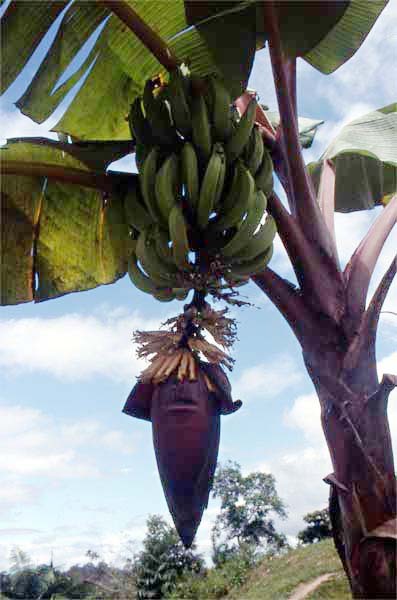 There is a high diversity of bananas, from a tiny yellow sweet variety called Lady Fingers to a giant green type called Plantain. The plantain is a staple food eaten as part of the main meal and also has useful pharmacological properties.